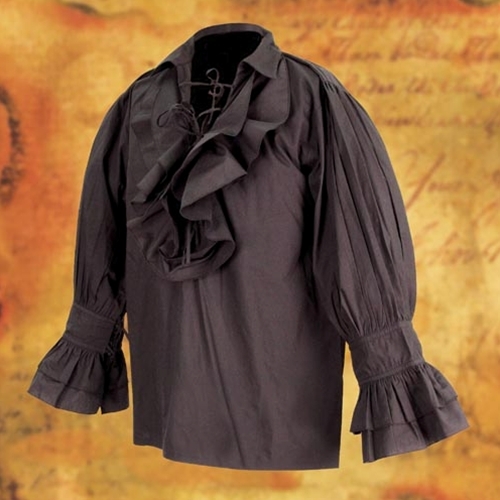 This man's pirate shirt makes a GORGEOUS pirate blouse for a saucy pirate wench, adding an "authentic pirate" look to your outfit. 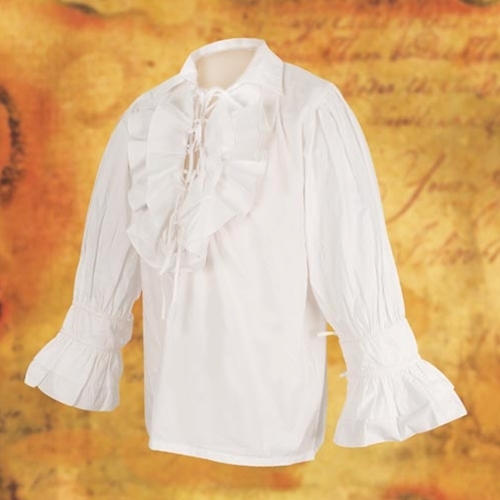 Generously cut, with six lace-up ties, ruffled trim down the front, and 2 lace-up ties on the ruffled cuffs. 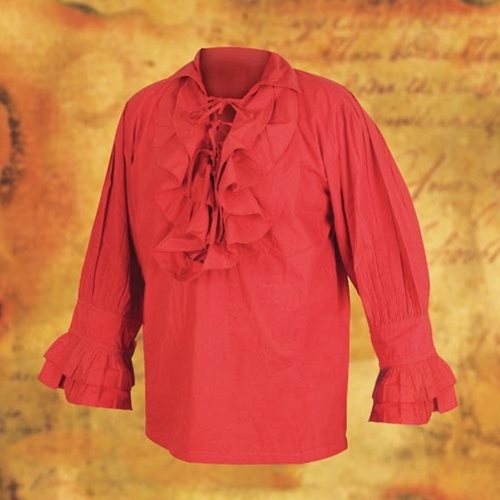 Available in red, white, or black, sizes S/M and L/XL (see size chart, left). Sword, pants, jewelry not included. Brocade corset is no longer available.